February 2018. This year's English project was all about dragons! On Monday morning, class 1 found that a strange box had crash-landed in our flower bed. We were told by the police that the box was safe to open, so during whole-school worship, we opened the box. It contained a strange, green egg. There was a lot of 'eggcitement'! 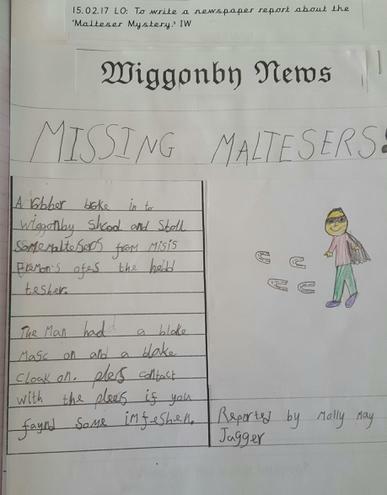 We contacted the Cumberland News, and got to work describing the egg and writing our own Newspaper articles. On Tuesday, we contacted a reptile expert and were excited to receive a video message from her, which answered our questions about reptiles and about our egg. What was it doing in Cumbria? 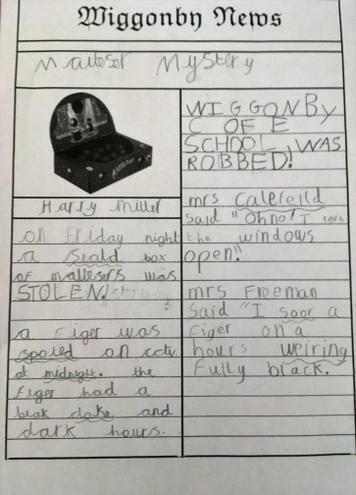 Mrs Corfield also received a letter from a famous museum in London, asking questions about the egg. 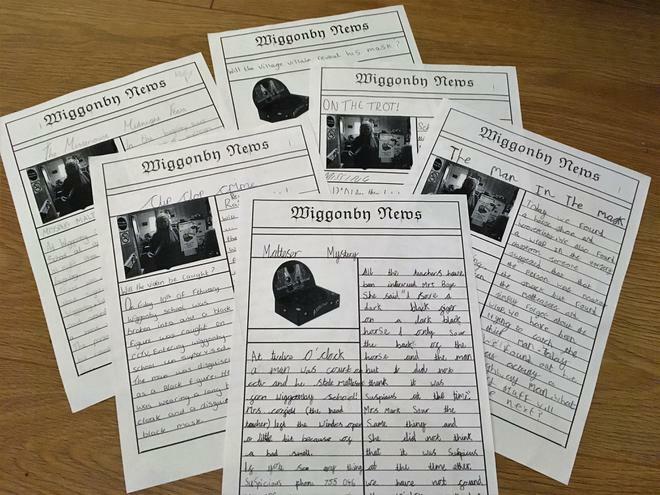 Wiggonby School children wrote to a reptile expert. 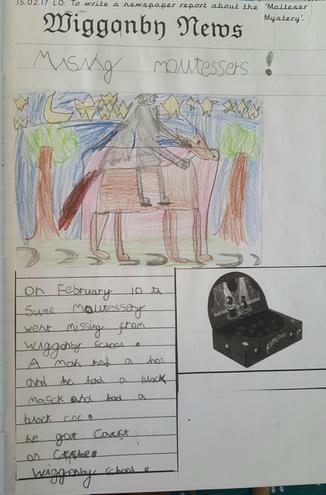 Children in classes 2 and 3 did their own dragon research and produced reports about dragons. They were very knowledgeable! Class 2 have also produced some excellent dragon artwork, linked to their 'Brilliant Bodies' science topic. Children thought about how to classify dragons and examined their teeth and eyes! They decided that the dragons that we looked at were carnivorous reptiles, but thought that some dragons might be herbivores too, like dinosaurs. Children drew pictures of a dragon skeleton and labelled the bones and joints. Dragons must have very big wing muscles for them to be able to fly such long distances! They have used this information to support their non-chronological report writing. 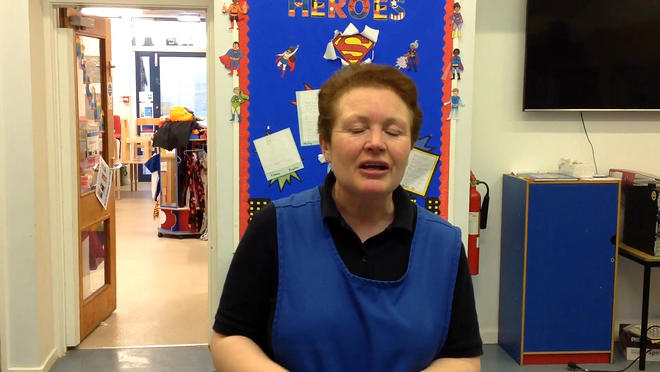 On Wednesday, Mrs Walsh reported that she had seen a fully grown adult dragon in the school playground! Was it looking for the egg? 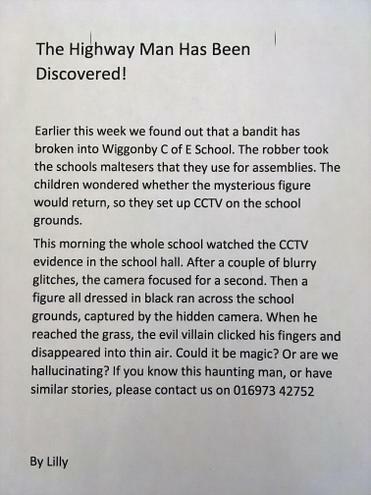 Amazingly, it was captured on the school's CCTV! Later that morning, the dragon egg began to smoke - so much so that set off the school fire alarm! It was time for the egg to be moved to a secure location with some dragon experts before it hatched. 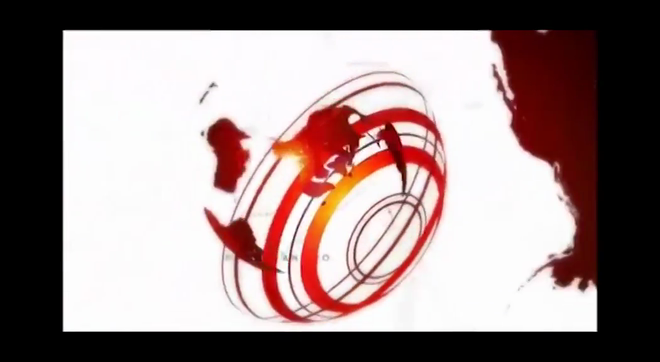 Footage was later found of a dragon flying over China. There haven't been any dragon sightings in Wiggonby since then. Phew! A local newspaper was very interested in our dragon egg too! Look at this fantastic article that appeared in the Cumberland News. 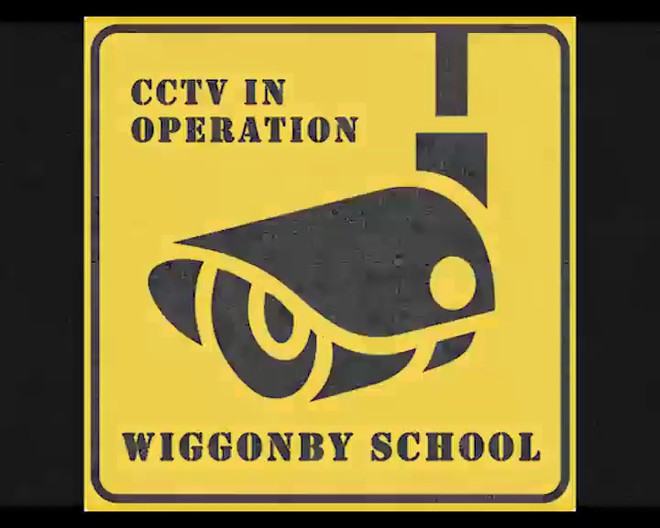 Whatever will happen next year at Wiggonby? February 2017. 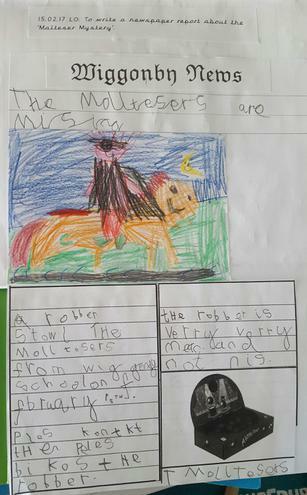 As a school we have been working on developing writing. 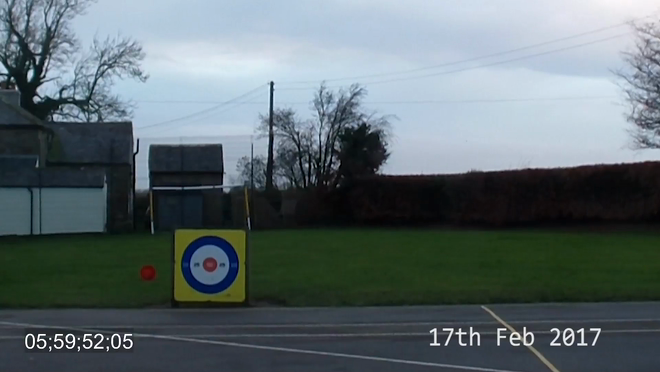 We have been working with our cluster schools and taking part in a whole cluster project. 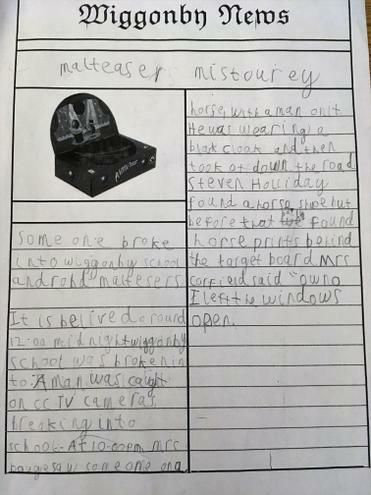 Mrs Walsh planned a week of writing linked to The Highway Man. 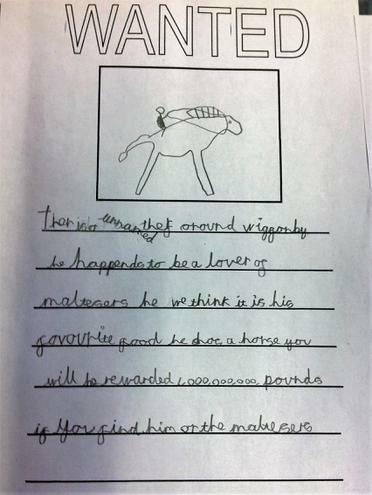 On Monday Morning a letter arrived in school! Mrs Corfield read the letter in assembly. 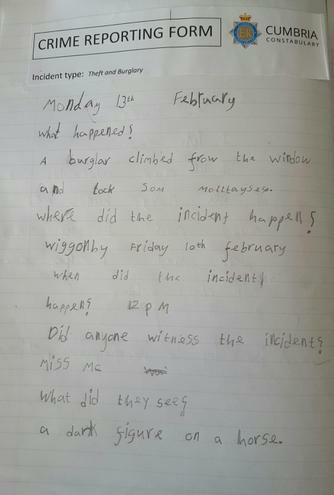 The whole school began investigations. Staff and visitors were interviewed to look for witnesses. 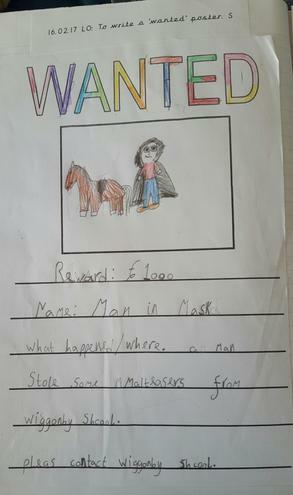 Posters, crime reports, news reports, newspaper articles, wanted posters, recounts etc.. were completed throughout the week. Witnesses were also interviewed throughout the week. There were several strange pieces of evidence. 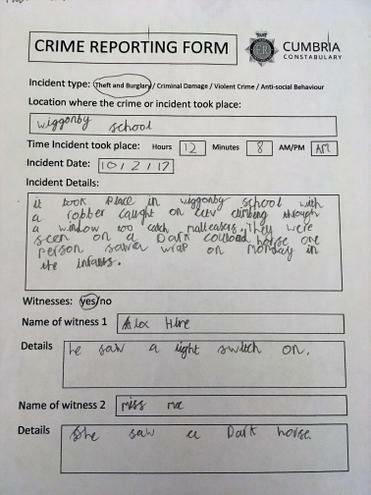 Children prepared documentation for the police. The police came and discussed the crime investigation with the children and took fingerprints! The children decided that we needed to set up a CCTV camera at the back of school. Look what happened! 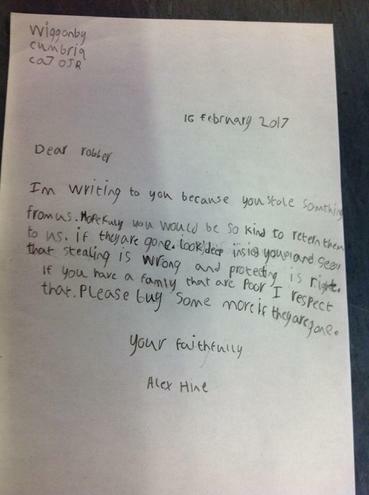 We also found a note and a packet of Sweets! 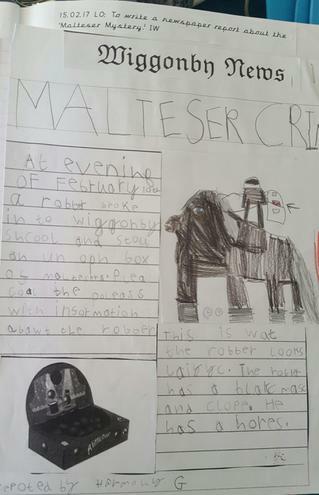 We thought we would share some examples of the amazing work our focus week produced!